The 1950s vintage Alfa Romeo Giulietta and Giulia series of coupes and convertibles seemed like they could conceivably go on forever. Even as late as 1965, Road & Track was still singing the praises of the 1600cc Giulia Spider Veloce. 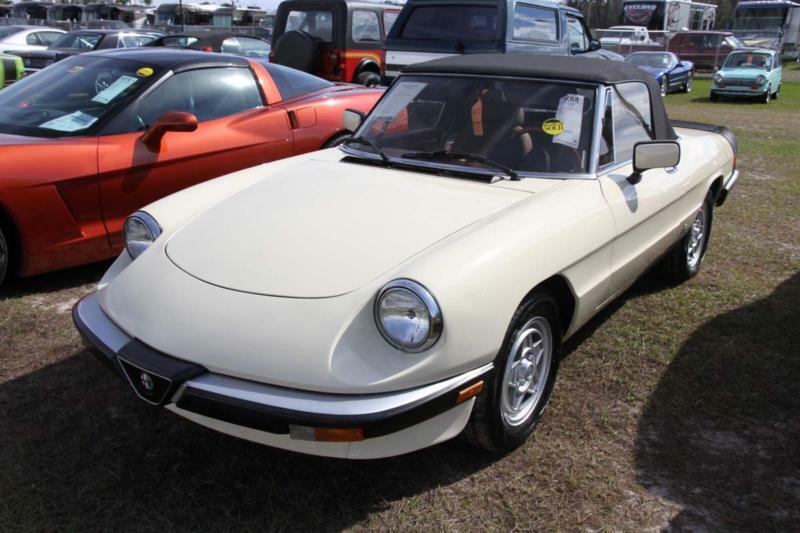 Nevertheless, for the 1966 model year, Alfa began selling its replacement, named the “Duetto,” via a contest that Alfa ran with the Italian public. It was the last project in which Batista Pininfarina was personally involved. And while widely viewed as classic design today, it was met with some controversy when new. Power was initially from the familiar Alfa 1600cc twin-cam engine that powered the last Giulias. Emission laws affected Alfa particularly hard and 1968 was a lost year in the U.S. The car returned for 1969 with a 1750cc engine and SPICA mechanical fuel injection. 1970 was another lost year and 1971 saw the car return with its lovely boat tail chopped off. The so-called Kamm-tail spider continued on basically unchanged (save for bigger bumpers and a 250cc boost in displacement) until 1982 when electronic injection was introduced and in 1983 styling was freshened slightly. Interior changes were about it until 1991 when the final (and quite successful) cleanup of the design took place prior to its discontinuation in 1994. All Spiders are brisk performers with sub-10 second 0-60 times and stellar convertible tops. Parts are readily available and while they are more complex and don’t tolerate “fools with tools” as readily as an MGB, they are more rewarding to drive. Rust was a major issue in all cars prior to the final series of 1991-95 cars.